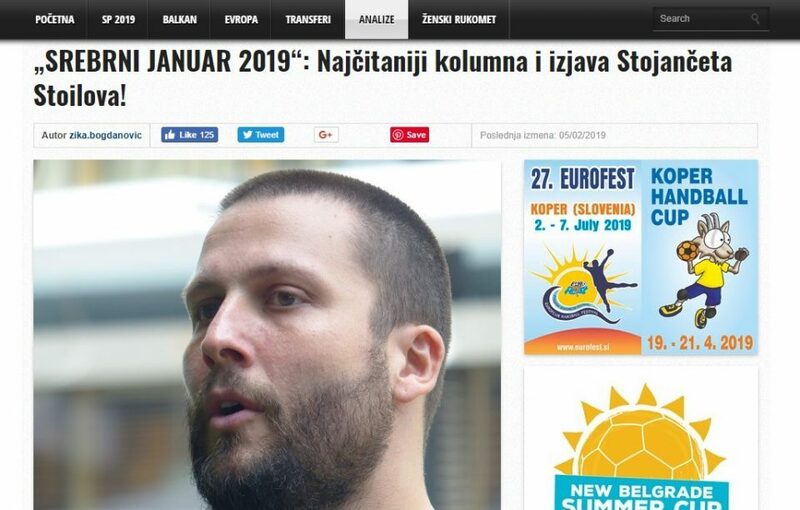 Macedonian handball star Stojance Stoilov is growing in regional stature and was declared star of the month by the Balkan Handball news site. The site informs that January was the second best month for the site and it’s all due to Stoilov, whose articles are most viewed. One of these articles is about Stoilov’s reaction denouncing the move to rename Macedonia into North Macedonia, which came as the team defeated Japan at the World Championship. Part of the European Championship winning Vardar team, Stoilov is hugely popular in Macedonia. An off the cuff comment caught on camera during the championship, when he proposed that the team does a “fake zeppelin” move became part of the urban dictionary of Macedonia overnight.